1. I've been searching long and hard for a notebook that would help me manage the addresses of the friends I had connected with online. I wanted to make sure I'd have room to have their twitter handle plus website info. So as a result, I ended up having to make my own and was really happy with the end result. 2. I've been giving myself a break from long hours at the library and trading it for my kitchen table. I've managed to make it a workspace during the day and then back to normal by dinnertime. I also found Meredith Andrews song, "Not For a Moment" and its so beautiful. 3. My sweet friend got married and had both cupcakes and cake at her wedding. I was clearly in Heaven. 4. I went to the Farmers market with my friend Lacey and got to taste so many yummy samples. We both bought a beautiful bouquet of flowers to take home. 5. 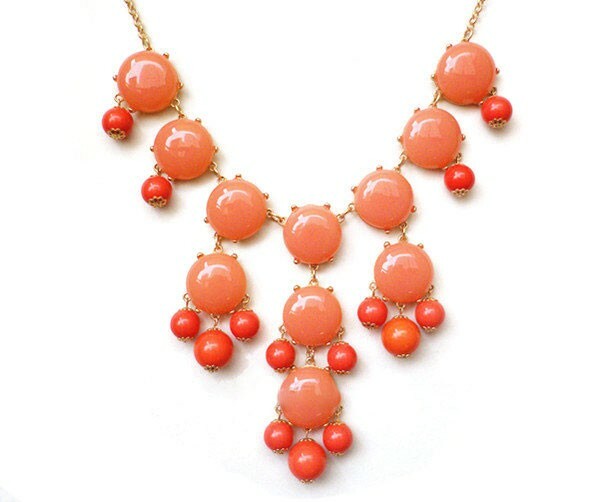 I added some of those oh so fun bubble necklaces to my shop and boy have they been selling fast. What a great week, Carrie! I love your addressbook idea, so colorful! I am lame and use google docs for my address list, ha! That bubble necklace is adorable. Might need to go on my birthday wish list. It's just so hard to pick one color! That is a pretty necklace. I'm envious of your talent. I'm stopping by from Life Rearranged link up. Have a great weekend. Love your address book! What a great idea! Stopping by from Life Rearranged. Love your address book idea! Happy Sunday! Drop by nichollvincent.blogspot.com and say hello! sounds like an awesome week, girl!! i LOVE that address book idea! so cute!